- It's completely homemade, so I know every ingredient and there isn't any odd additives/flavourings/preservatives. 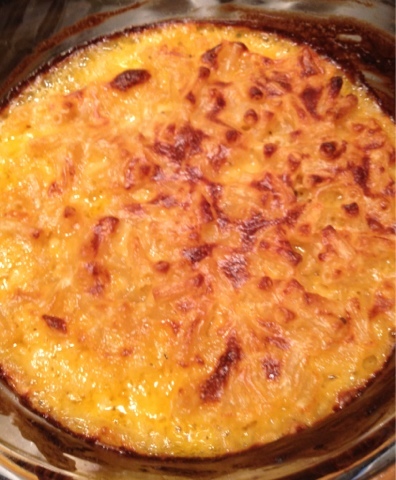 - I control the quantities of cheese and butter (and try to put a smaller amount in). - I can measure the portion size accurately. - I can serve it with plenty of salad. For some reason I have never been a fan of mac and cheese. But my husband could live on it! Yours is pretty healthy and wholesome looking I must admit! 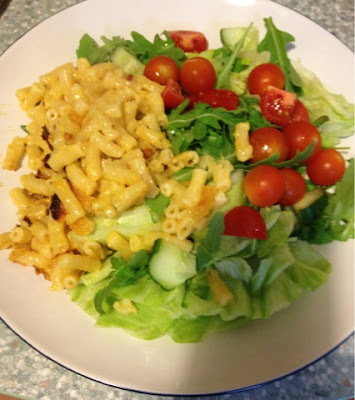 My macaroni cheese is never healthy, though I do weigh the butter but perhaps I should start doing that with the cheese too and having it with salad like you.